Less than a week from now, the latest smartwatch from Pebble will begin shipping to consumers from its warehouses in Asia. Pebble Time, beneficiary of the largest crowdfunding cache in history, will start arriving at customers’ doorsteps in late May, the company said in an email statement. Production has gone ahead at full steam since early May, and every backer should have a shipping notification by mid-June, a much more expeditious rollout than the first-generation Pebble smartwatch. The company also detailed the new iOS and Android apps for the Pebble Time, which will exist separately from the original’s apps. As promised, there is no longer an eight app limit on the watch, with a much larger store of apps and faces that can easily be loaded and cycled. A few new YouTube videos expand on the new interaction dynamics. 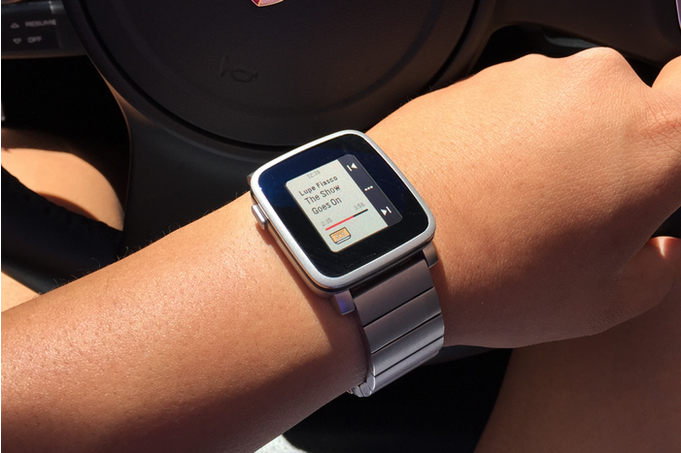 Have you ordered a Pebble Time, or its shipping-in-July counterpart, Pebble Time Steel?